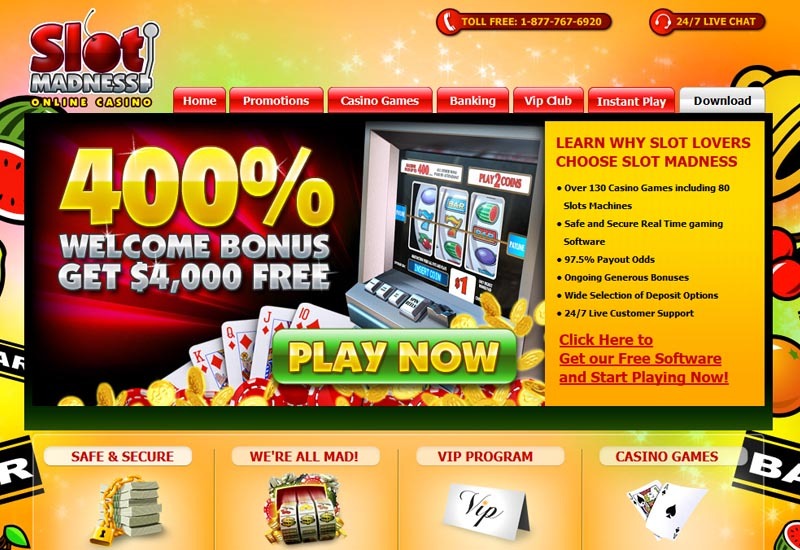 The Slot Madness brings you only the best games available, with a huge emphasis on slots. Powered by the Real Time Gaming software platform, the games are coming from all kinds of varieties. Thanks to the high quality graphics and sound effects, they have spawned a whole group of dedicated players. All of the valuable information is being protected by the encryption protocol, utilized by the website especially for the assurance and comfort of the players. The brand is owned by Ace Revenue Group and fully licensed in the Netherlands Antilles. As for the promotions, a Welcome Bonus is always present while other exclusives are granted to the loyal members of the casino itself. 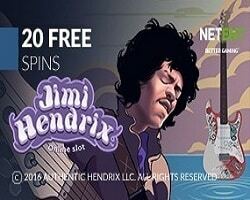 Games come in all shapes and forms at the Slot Madness Casino. As they are provided by RTG, all of them come with great quality of gaming. There are Table Games with Blackjack, Let’em Ride, Texas Hold’em and Face Up 21. For the Video Poker enthusiasts is a whole branch of games, like the Mystery Bonus Poker. Both, Classic Slots and Video Slots can be played, with Triton Treasure, Golden Lotus, Wok n Roll and Raindance. 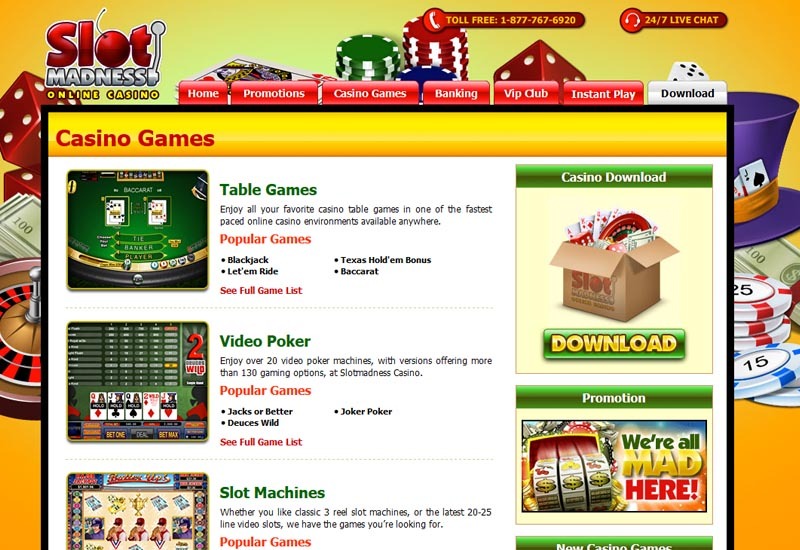 Specialty Games contain Craps, Roulette, Keno and many other interesting variants. 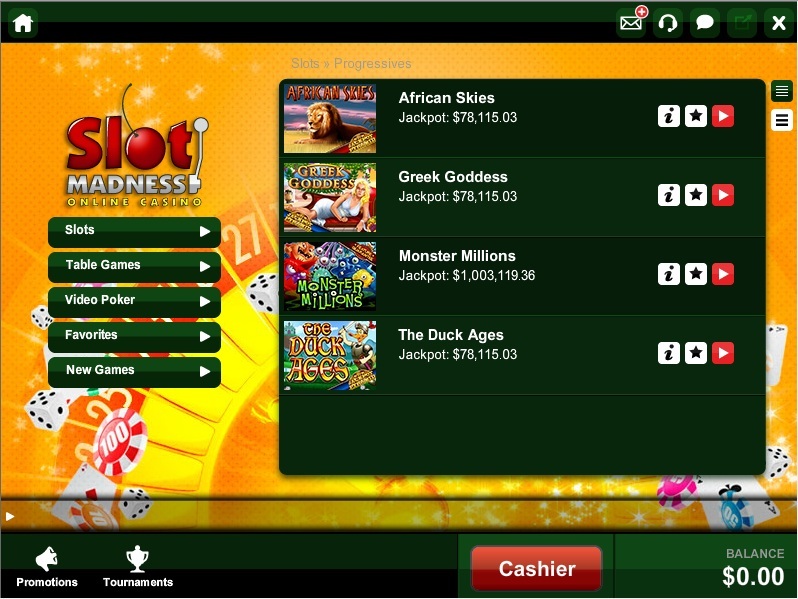 The Progressive Jackpots can generate amazing winnings, just like the Random Jackpots and Minor Jackpots. In all there are four different categories of games.